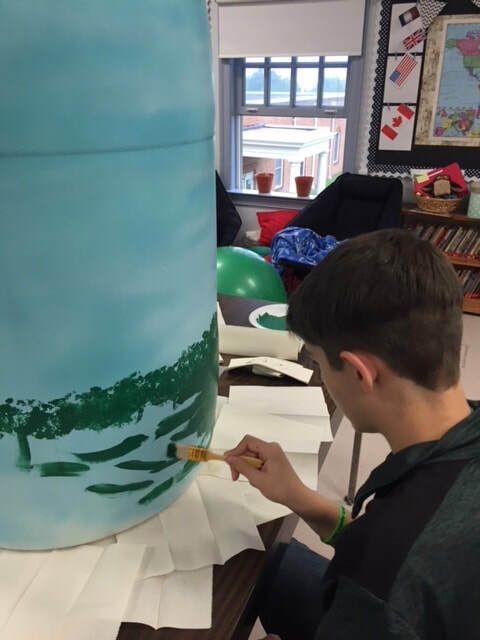 7th and 8th grade students cleaned and sanded down a donated rain barrel in preparation to paint and decorate it. 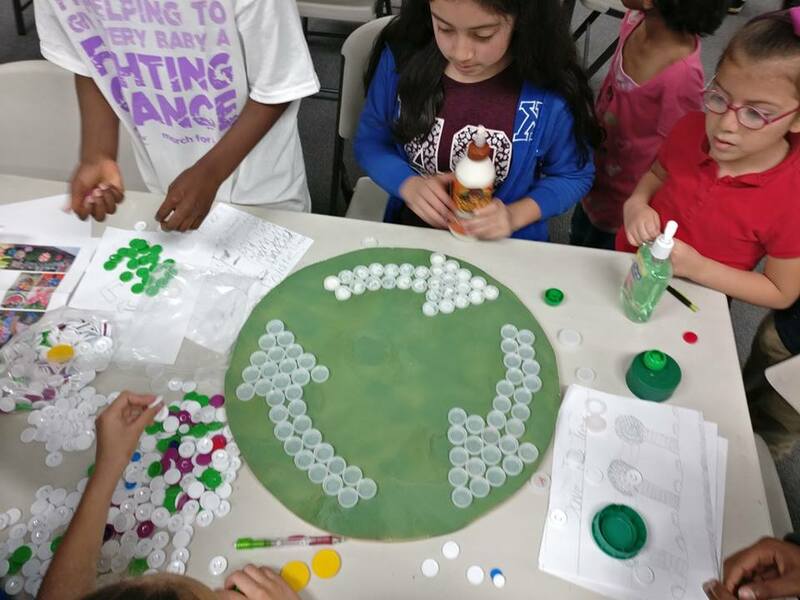 Students worked together to pick a design that would blend in to the local environment. 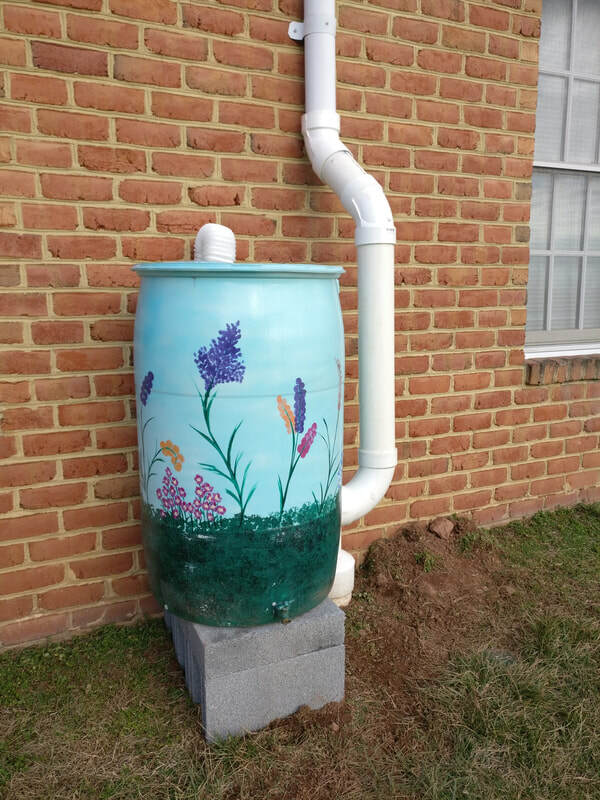 Rain barrel was installed February 28, 2018. 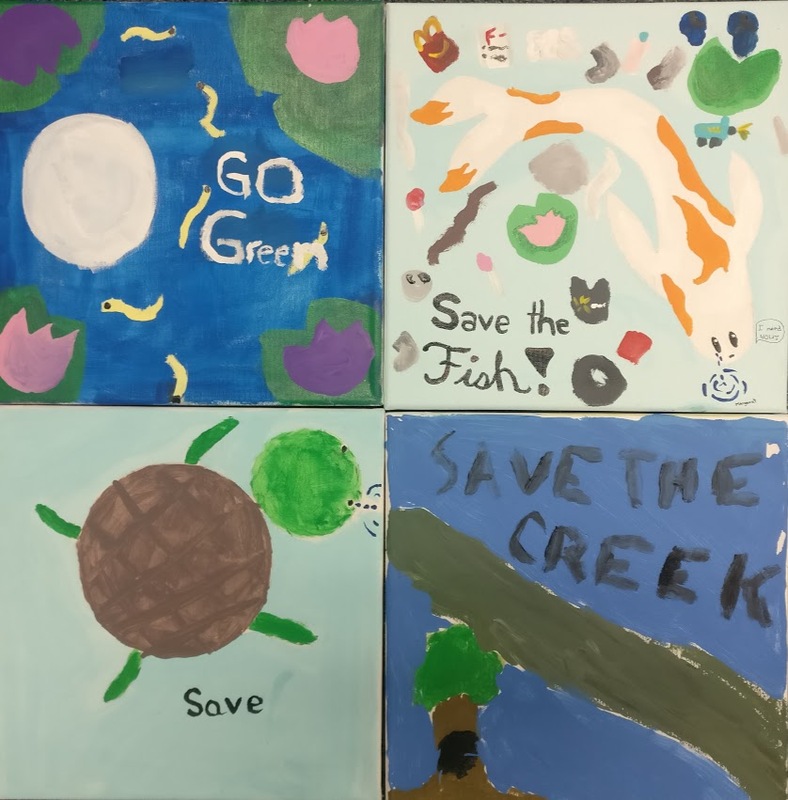 Third-sixth grade students painted environmental art on canvas to hang on the school walls. 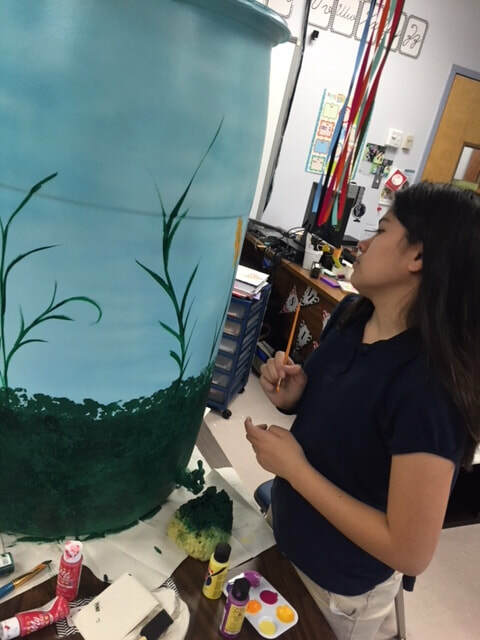 Their artistic murals focus on pollution, recycling, water conservation. 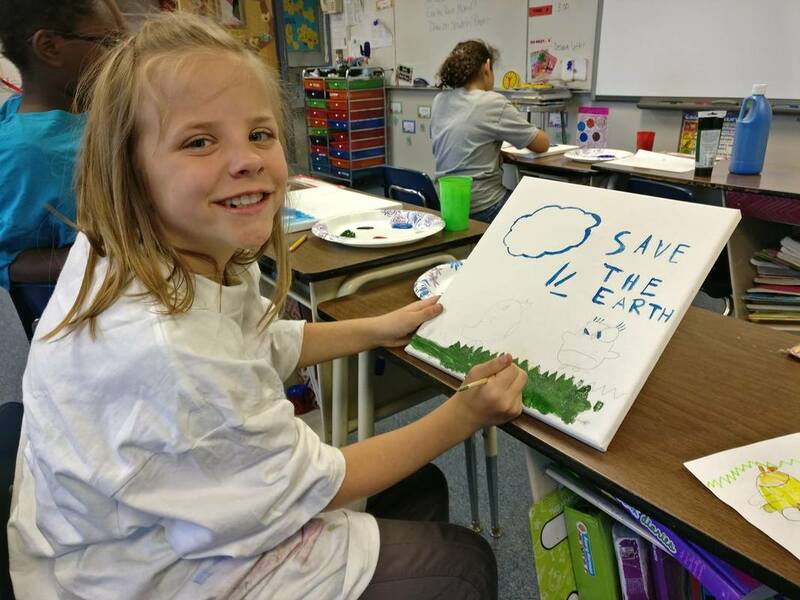 3rd-6th Graders paint environmental art to display in the school hallways. April 5, 2017. 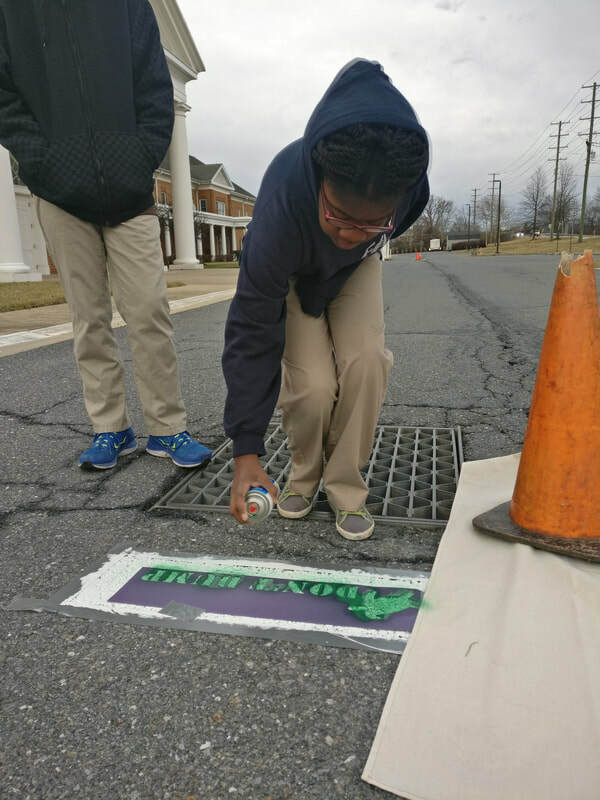 The Environmental Club painted two on-campus storm drains to remind families that polluted water runoff will reach local streams and head to the bay. Environmental Club painting storm drains on school property. February 26, 2018. 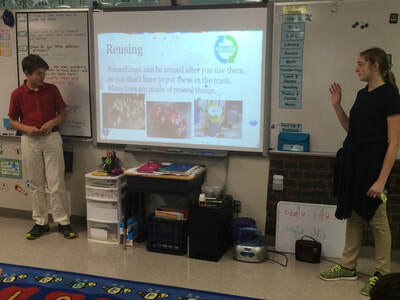 Students in the Environmental Club petitioned to begin a recycling program at FAA since Frederick County does not offer a free recycling program schools or businesses. 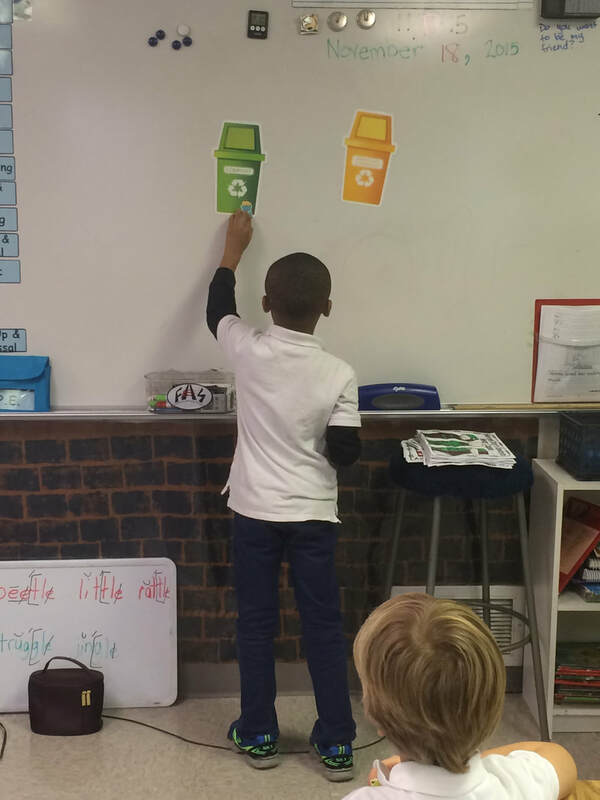 The school agreed, secured a contract, and purchased recycling bins for classrooms and work spaces. Since then, students from the club weekly collect waste from the bins. Seventh and eighth graders taught 15 pre-k students a lesson on composting. 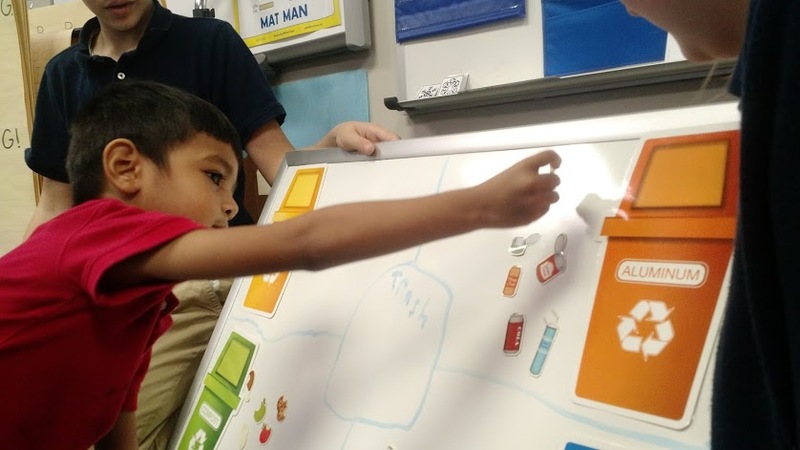 The pre-k students brought compostable items from their lunch boxes and paper waste to add to the school compost bin. 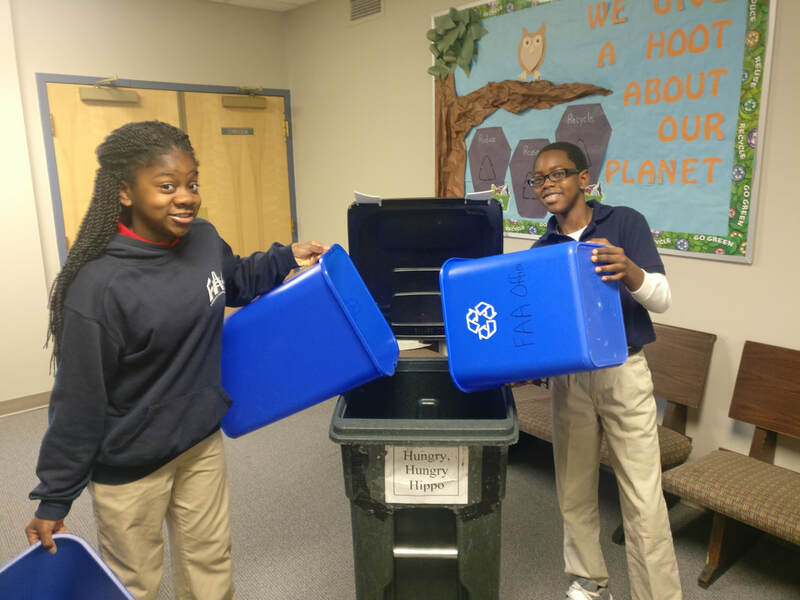 Students continue to add to the compost bin. 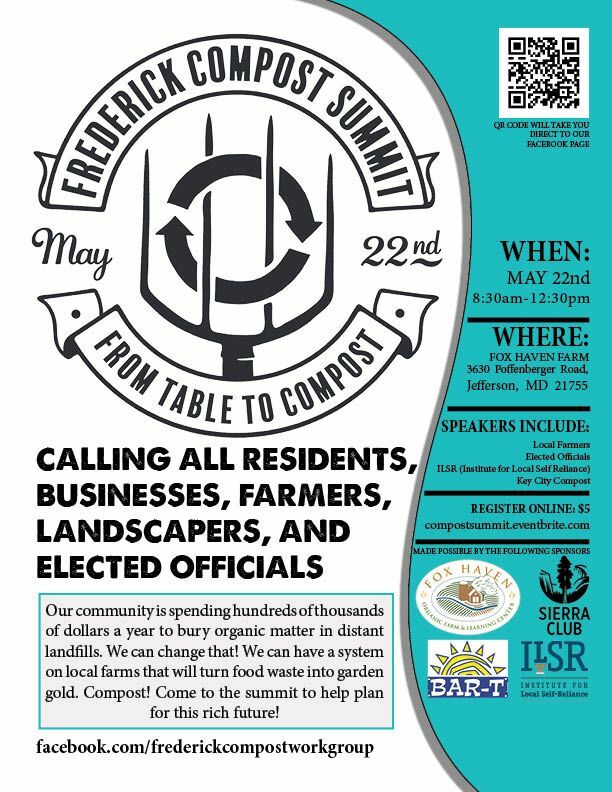 Third and fourth graders heard about the Frederick Compost Summit while on a Field Trip at Fox Haven Farm. 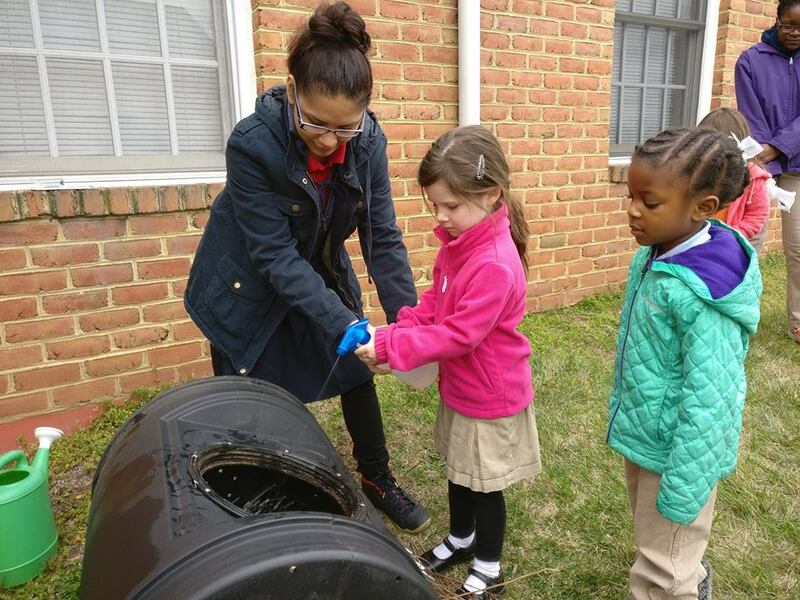 They came back to school and wrote letters to local Frederick County officials urging them to add compost bins as another form of waste collection in the county. 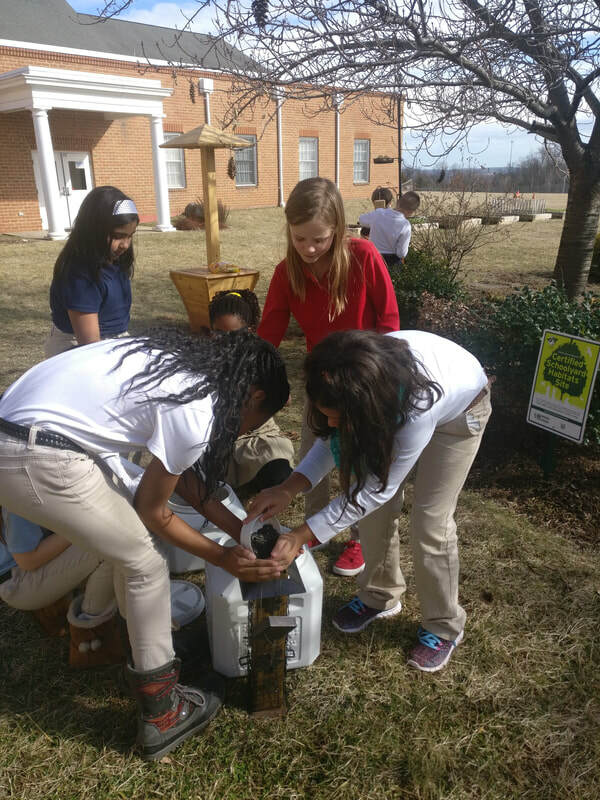 Third and fourth grade students used the supplies they received from the BGE Bright Ideas Teacher Grant to create a bird habitat area with food, shelter, and water source in the outdoor classroom. 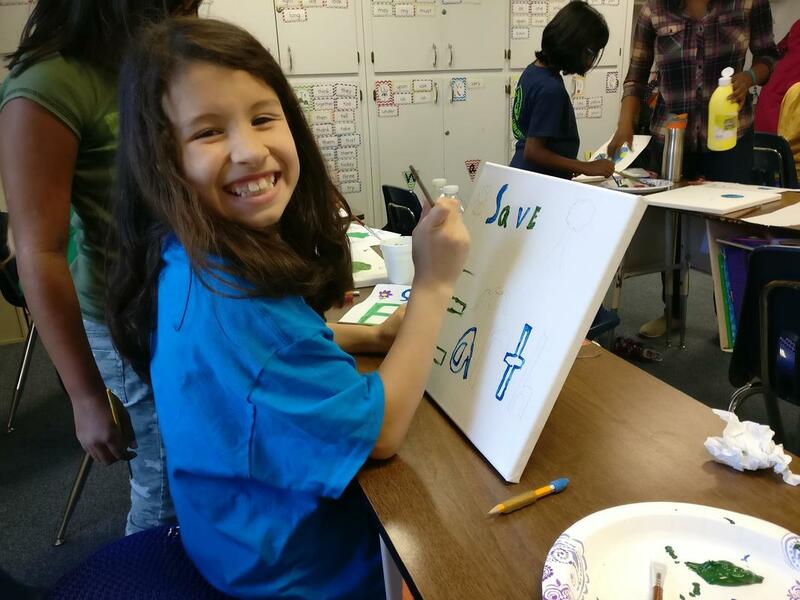 Students take turns each week to make sure the habitat is well stocked with food and water. 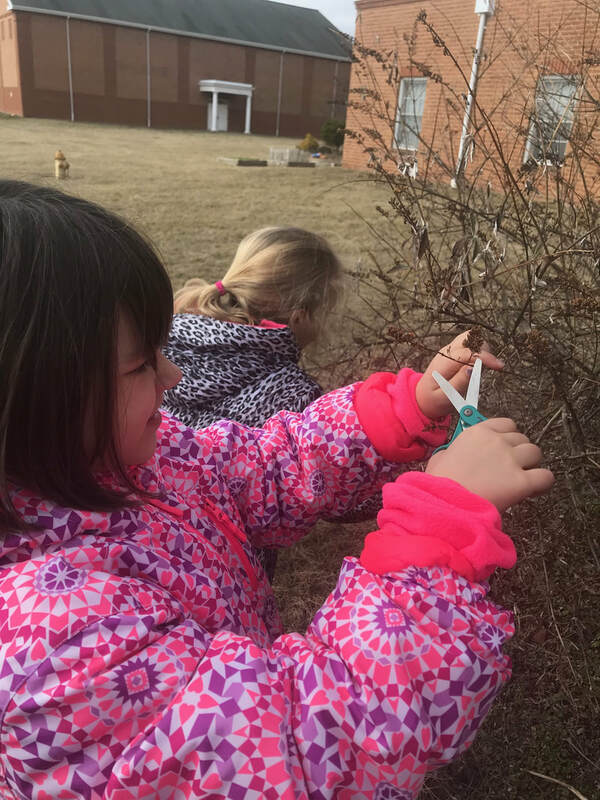 First and second grade students take advantage of the warm weather to tend the native butterfly bush in the outdoor classroom area by clipping off the dead flowers and getting the bush ready for spring. 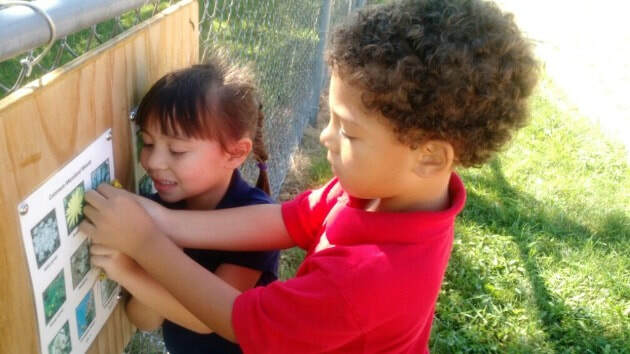 Third and Fourth graders regularly observe birds in the outdoor classroom and add the data to the Celebrate Urban Birds citizen science project from Cornell University. 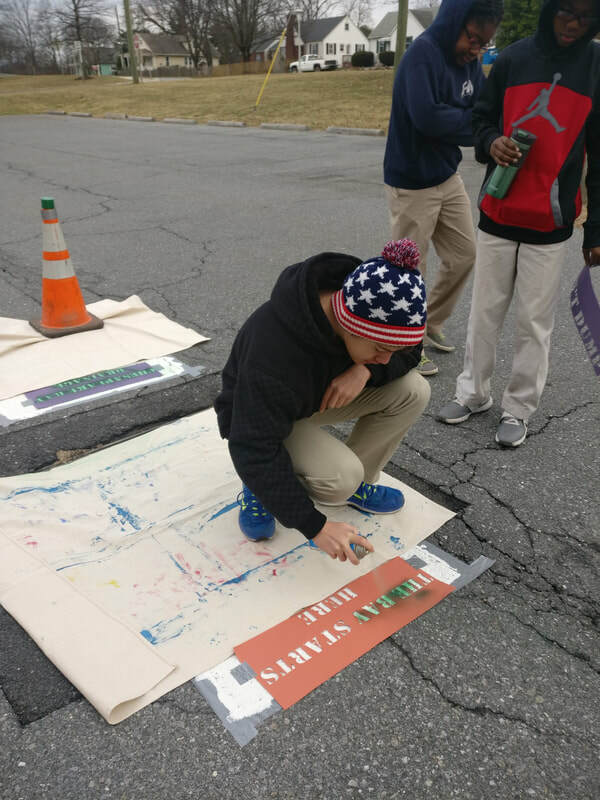 As a school-wide, collaborative art project, students worked in mixed age groups to create outdoor artwork from reclaimed plywood and plastic lids. 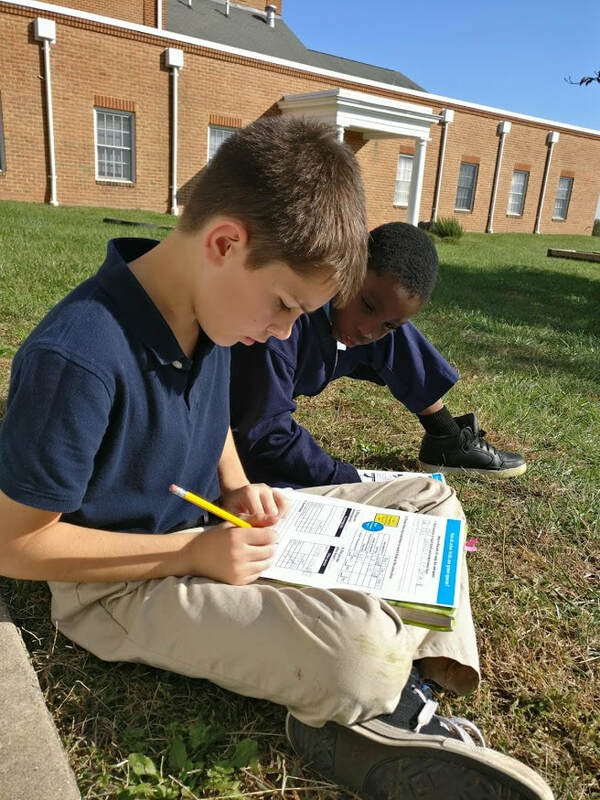 First and second grade students were collecting and inquiring about the plants around the playground. 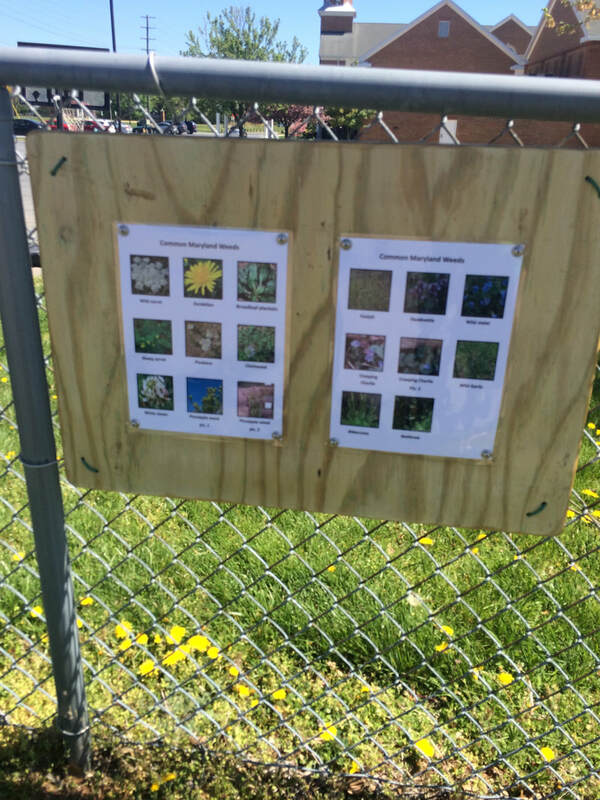 A sign was created and hung so all students can compare and name the plants they find. PK-8th grade students regularly grow flowers, vegetables, herbs, and melons in the raised garden beds depending on the season.